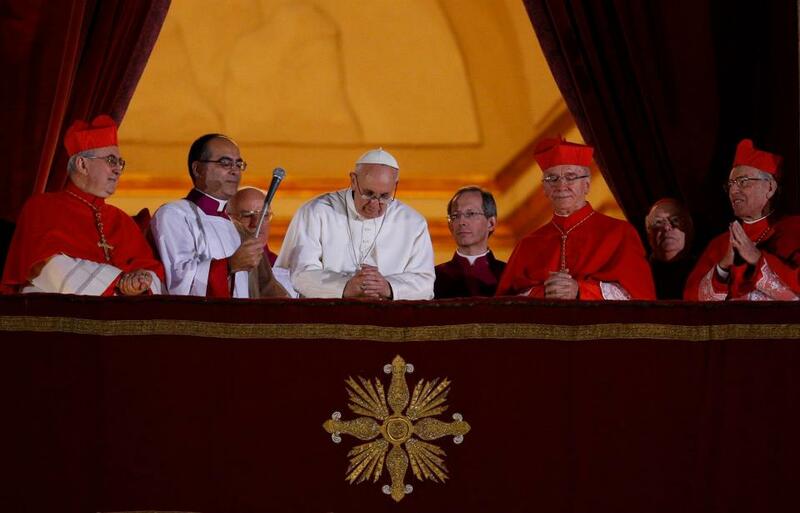 The New Pope’s a Jesuit: How Do You Feel? Since the election of Pope Francis I the first yesterday, I can already predict what the number one topic of my conversations will be in the coming days, weeks, months perhaps. It will begin something like this: “How do you feel about having a Jesuit Pope?” Though at this point we are only a day into this new reality, I find that my reactions fall into at least four categories. First, I was—and still am—surprised. Second, I feel delight, and a sense of pride. Third, I find myself conflicted. Finally, I am apprehensive. I can’t speak for all Jesuits, but my sense is that many of my Jesuit brothers are experiencing similar reactions, to varying degrees. “They would never elect a Jesuit Pope!” We Jesuits have always taken it as something of a maxim that a Jesuit would never be elected Pope. I said as much to several people who asked me recently whether I thought the new Pope might be a Jesuit (they have been quick to point out that I was wrong). There were many reasons for this presumption. Most obviously: In the more than 400 years that it had been possible, a Jesuit had never been elected Pope. It was also thought that since the Jesuits are and have long been the largest single religious order of men in the Church (though the different Franciscan families, if added together, would be larger in number), that having a Jesuit Pope would skew a presumed balance of power between the “white Pope” and the “black pope,” as the Jesuit superior general is sometimes called. Such a vision, however, seems to be the product of a bygone age when the papacy was understood differently. Nevertheless, we know that in the Church former ways of thinking sometimes die hard, and many of us presumed that this way of thinking was still alive and kicking. So, give the current college of Cardinals—and the Holy Spirit—credit for overcoming a long-standing prejudice! The new Pope is a Jesuit! 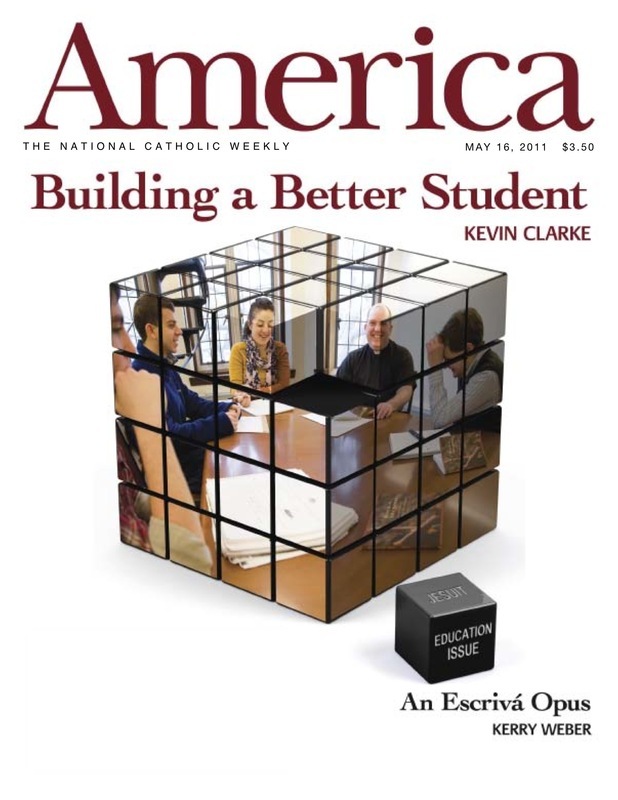 Members of a religious community, no matter how different they may be individually (and individual Jesuits can be very different), share a unique kinship founded in their order’s charism (that is, unique characteristics), traditions, mission and spirituality. We speak the same language. We understand each other. Also, our shared identity as a community of men devoted to a common mission in service of Christ and the Church results in a collective sense of pride in our accomplishments, and sorrow over our failures. What one Jesuit does, for good or ill, somehow reflects upon all of us. So, just as I feel proud when I see I Jesuit I live with act heroically in support of someone in need, I also find myself feeling proud to be a Jesuit when one of my brother Jesuits becomes Pope. A Jesuit is not supposed to be Pope! Here, I’m not repeating myself, but saying something about Jesuit legislation, tradition, and self-understanding, as well as the intentions of our founder, Saint Ignatius of Loyola. Dismayed by the distasteful actions by many Catholic clerics of his day in pursuit of advancement, power and prestige, Ignatius was determined that such ambition not infect the Society of Jesus. Therefore, it was clearly specified in the founding documents of the Jesuits that Jesuits were not to become bishops. Indeed, it is even forbidden for Jesuits to aspire to most positions of authority within the Society of Jesus itself. Should a Jesuit mount a campaign to be a Provincial or the General Superior of the Jesuits or even express a desire to hold such a position, that very act would disqualify him! Being a bishop also makes it essentially impossible for one to be fully a Jesuit, in a sense. Integral to Jesuit identity is apostolic availability, meaning that a Jesuit should always be prepared to go at a moment’s notice to answer the greatest apostolic need, anywhere in the world, especially if the Pope asks! Being a bishop doesn’t allow for that kind of availability. So, I suspect that Saint Ignatius would be strongly opposed—if not horrified—at the election of a Jesuit as Pope! However, this all also points to a question within the Society of Jesus as to how Jesuits are to understand availability, and their vow of obedience to the Pope. Shouldn’t a Jesuit’s availability also include being available to serve the Church as a Bishop? And, a matter of some dispute among Jesuits, given that we have a specific vow of obedience to the Pope, does this include a Pope’s request that one become a bishop? This question came up during Ignatius’ lifetime when some in the Church wanted to make the Jesuit Francis Borgia a cardinal. Ignatius made known his strong opposition to the proposal (especially because in this case it was about giving honor to a member of a prominent family), but he also acknowledged that should the Church insist, and Borgia accept, he would have to respect the Church’s decision. Borgia was never made a cardinal, and instead became the third general superior of the Jesuits. A Jesuit Pope surely spells disaster for the Church! Or so many might say. While many in the Church have no idea what a Jesuit is, or that there are priests of a different sort than the ones that they know, those more in the know have strong opinions about religious orders like the Jesuits. There are those that love the Jesuits with great passion, and those who hate the Jesuits with equal passion. Both these camps are likely to harbor unreasonable expectations for a Jesuit Pope, both positive and negative. Pope Francis will most certainly disappoint both, not being as progressive as some would expect of a Jesuit, and not being as disastrous as others might expect. One of the main problems is that the most commonly held view on both sides is that the Jesuits are liberal. The fact that this isn’t an accurate representation of the diversity of the 19,000 Jesuits around the world, doesn’t stop our lovers or haters from seeing us that way. So, those who hate the Jesuits, but love the Church will make peace with themselves by saying things like, “but he’s a good Jesuit,” or “the right kind of Jesuit,” to distinguish him from the vast majority of Jesuits who are “bad Jesuits.” I can’t tell you how maddening, and I must say ignorant, such comments are. When he’s not progressive enough, Jesuit lovers will accuse him of not being Jesuit enough, or of betraying the Jesuits, or the Jesuit spirit. And though we certainly prefer the criticisms of those who love us, such comments will also be rooted in a similar ignorance of the expansive richness, diversity and fidelity to the Church that the Society of Jesus represents. When the Pope fails, as he certainly will from time to time, you might hear expressions of contempt such as “what do you expect from a Jesuit.” But I pray that both Jesuit lovers and haters can see beyond their expectations and find the wisdom of the Church and the will of the Holy Spirit in this surprising choice. Saint Ignatius: What Have I Done For Christ? 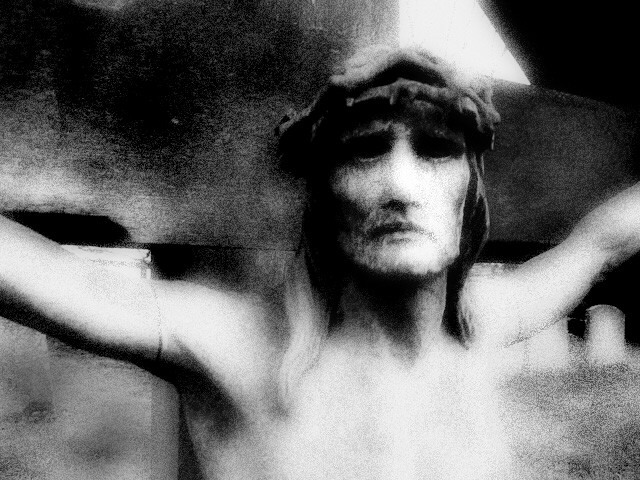 “Imagining Christ our Lord present and placed on the Cross, let me make a Colloquy, how from Creator He is come to making Himself man, and from life eternal is come to temporal death, and so to die for my sins. What I have done for Christ? What I am doing for Christ? What I ought to do for Christ? And so, seeing Him such, and so nailed on the Cross, to go over that which will present itself. 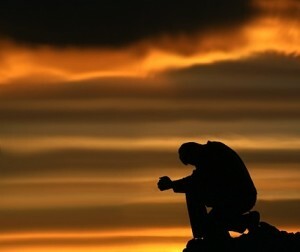 How do I use imagination in prayer? What’s a colloquy? 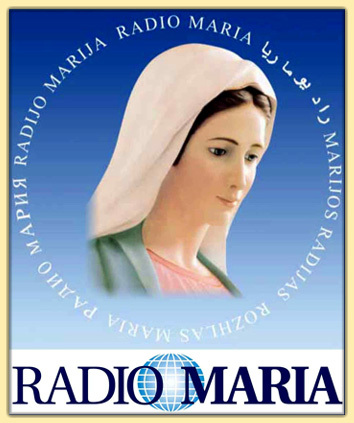 Recently, I appeared on Radio Maria’s “Meet the Author” program. The host, Ken Huck, and I spoke about living a spiritual life in contemporary times, my book Already There, and briefly about my new book, Saint Ignatius Loyola–The Spiritual Writings. Looking for more advice from Saint Ignatius? 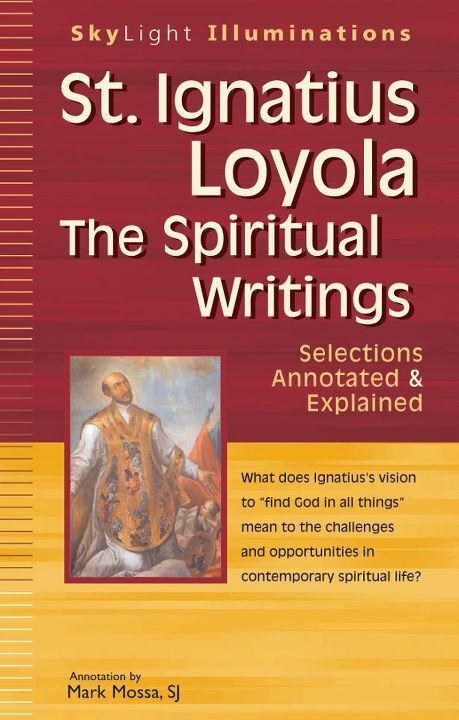 Order Saint Ignatius Loyola–The Spiritual Writings: Annotated & Explained Today! Find Answers to the questions: Who was Francis Borgia? And, was he related to that awful family on TV? 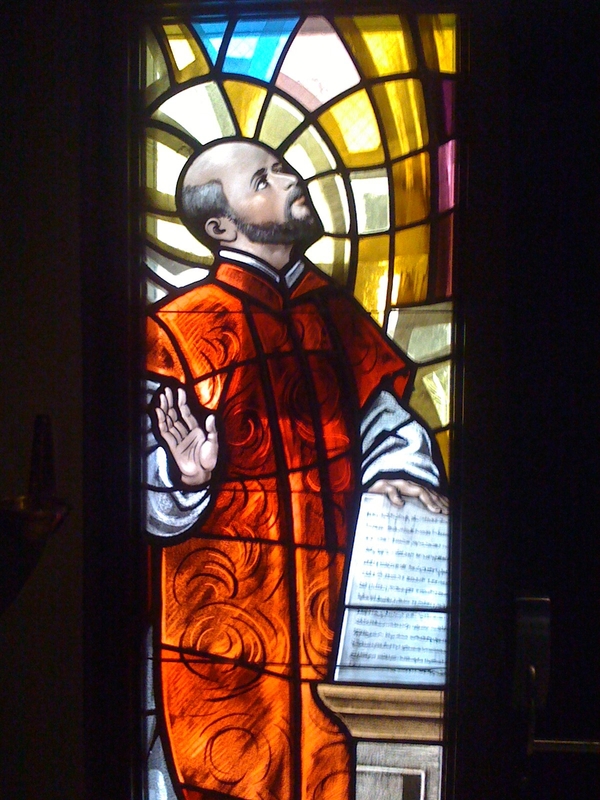 Happy Feast of St. Ignatius Loyola! Today Jesuits worldwide and our many friends and collaborators celebrate the feast day of the saint who inspires how we live, and much of what we do for the people of God. On this day, we pray especially for Saint Ignatius’ intercession for blessings on our work and for the gifts of grace we need in our lives. Already There is now available in audiobook version. You can sample it, and download it, at Audible.com. You can ‘read’ it in about six and a half hours, which is about four hours less than I spent recording it! For you multi-taskers, just imagine the things you can do while listening to the book :). And you don’t have to wait for it to be shipped, you can download it immediately! Get it here. A review from across the pond! “The Jesuit author of this book is an American who has worked as a minister in various parts of the United States, but now teaches theology at Fordham University. 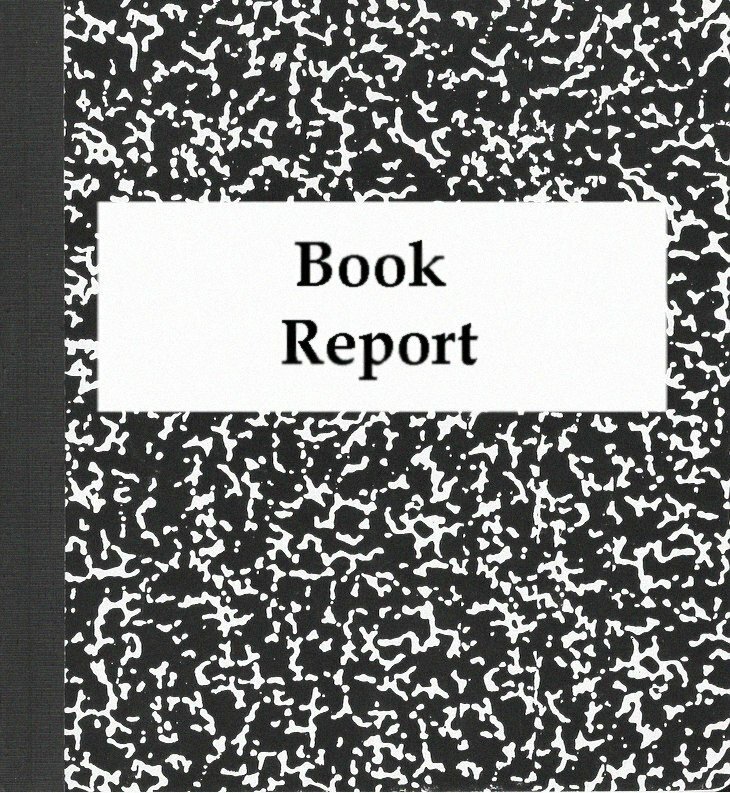 In writing this book, he uses incidents from his own life to illustrate his theme. He is himself an epileptic, and he uses his need for daily medication to stay well as an illustration that we need religion all the days of our lives, and not as an aspect of crisis management. I’m settling in at the Starbuck’s down the street from where I was scheduled to do a radio interview last night, when the phone rings. I answer it, and my mother says, “are you alright?” I say, “Yeah,” emphatically, wondering why she would think otherwise. It’s about 7:05, and the show I’m scheduled to be on at 8:20 has just started. They said something about a tornado, and “don’t worry, Father Mark is alright,” she tells me. Not only am I alright, but I’m clueless about the storm, possibly a tornado, that ripped through New York City last night. I’ve just walked across Manhattan, and it wasn’t even raining. My mother reassured, I settle in to my light sandwich and chai tea, as I listen to the show to try and calm my nerves a bit, and get a feel for what they are talking about tonight. It’s my first radio interview. Shortly, I’ll be in the studio, and I don’t know what to expect. I’m happy to discover that it’s “faith and culture” Thursday, where they discuss the intersections of popular culture and faith—right up my alley, and in many ways the theme of my book! I’m feeling a bit more comfortable, and glad I wasn’t able to do the show the night before during which they answer questions about the mass (not that I have anything against that, but it just wasn’t as good a fit!). I head over there early, and I’m glad I did, because there’s a not-so-fast and a bit complicated security procedure to get in the building, and I’ve just entered behind a band that’s playing in one of the other studios. Off I go up to the 36th floor, where I arrive finally only about 5 minutes early. And wait. It’s an interesting place. The waiting area is kind of what you might expect, a spacious advertisement for Sirius XM, with ticker-type displays showing what’s playing on various channels at that moment. I’m ushered down past a row of studios, to the studio of the Busted Halo show. It’s a small rectangular box, not even as big as my room, with equipment and four people. Ruben Blades is in the next studio over. I say hello to Father Dave Dwyer, the host, and Robyn, the producer. She shows me the chair the microphone, and the headphones (which seems strange, because Fr. Dave is only a few feet away from me). I announce that this is the first time I’ve done this. Don’t be afraid to get too close to the microphone, I’m told, and just talk, the sound guy will take care of everything else. “Did you hear about the tornado?” Father Dave asks. And I tell them about the phone call I’d just received. Great way to break the ice. And we’re off! Sure, I was nervous, but I was surprised at how comfortable I felt. I was a little self-conscious. I noticed that my arms were talking too, which seemed kind of silly. And, since there were three other people in the room to my left (Fr. Dave was to my right), I found myself instinctively looking in their direction from time to time. As I settled into the conversation it got easier, and it seemed like we were speaking for more than 20 minutes, in a good way. It was fun. We got to talk about general ideas about encountering God in all things, especially in culture. We talked about the book. We spoke a little about my experience of my vocation. 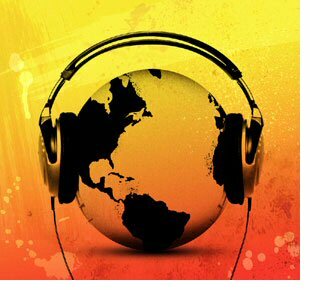 And it just seemed like a fun chat, though I felt a little under pressure to respond quickly, and avoid “ums.” It seemed to go OK, and it was a good way to cut my teeth for a couple other radio interviews I have coming up, where I won’t have the advantage of being in the studio. It’s strange this new moment in my life where I find myself now speaking frequently about “my book.” I’m hoping it remains clear to people as I go about this that as much as the focus might be on me sometimes, as with this interview, the most important thing for me—and the reason I wrote the book—is in hopes that I can help people to better connect with God. I hope that I did so last night with my little foray into the radio world. Today, it’s back to ordinary life, where hopefully I can do the same, outside of my book. Thanks for reading/listening. And if anything I’ve said or written has helped you get better connected with God, please share that with others. You needn’t give me any credit because, really, all the credit goes to God! Happy Friday!